You could double your money with these 5 potentially explosive shares hand-picked by our market expert. Even now, after the past 12 roller coaster stock market months there is some serious money to be made – if you know the right people. I’m writing to you today to make you a very special offer. To invite you to start receiving some of the most powerful share tips being whispered in the stock market – and to discover why you don’t need loads of money to make money. I’m going to show you how a R10,000 investment could turn into R1.19 million... How one single share purchase could make you thousands... And why you’ve got to start believing that all these things can happen to you! You see, this invitation I’m making to you is not just about money. Sure, money is part of it and who doesn’t want to be wealthy? But it’s also about EXCITEMENT. The thrill of receiving ‘live’ share tips from those at the centre of the Stock Market and the heart of the industry. The buzz you’ll get when you receive your first R10,000 from your stock broker. The excitement of watching your investment grow from a few hundred rands... To a multiple of thousands! The stock market is like my Grandmother’s sewing basket – a tangled web of gossip, tip-offs and ‘a favour for a favour’. All over South Africa these young guys sit there in their expensive striped shirts and Gucci cufflinks – making phone calls to their mates saying ”Kumba heading north – bid rumour“, ”fill your boots with shares in Implats“, or “a quick couple of thousand in this one for you Charlie”. By the age of 30 they’ve already earned millions – and wasted most of it. Now, I know these guys sound like a total nightmare, and the thought of them making all that money will probably make your blood boil, but... The truth is that they can be very useful to us. You see, the thing with these guys is that they have the extreme good fortune of being ‘well connected’ — privy to an effective grapevine of very profitable ’information’, which I’d like to share with you. I’ve broken down the walls of privilege to help people on the outside make BIG MONEY from investing – and I’m writing to you today to invite you to join me. 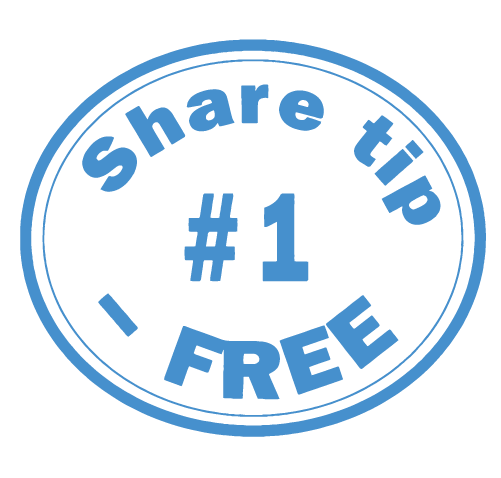 I want to share with you the dozens of share tips I uncover through my contacts and research. Tips that could put you miles ahead of ordinary investors. I’d like to show you how you to could be making large sums of money - just as if you too were ‘in the loop’. To invite you into the world where you could make R10,000 from an investment of just R1,000... Where a 50-100% profit is seen as ‘reasonable’... Where champagne flows and where you don’t need to be a government official to get ‘gifts’ worth millions of rand, or take 30 overseas trips a year! In March 2015, I recommended readers buy shares in Conduit Capital - a financial services company. As I predicted, the shares promptly rose from 161c to 370c, giving my readers a quick gain of 129.81% in just eight months leading up to November 2015! In November 2014 I also highlighted a specialist computer services company whose shares were seriously undervalued: By December 2015, Adapt IT rose by an amazing 109.16% and I advised readers to sell. And you too, could have turned a R10,000 investment into R20,916! And there was even more to come! Another of my top tips in the last 12 months was Santova. I told readers to buy the share at 200c in June 2014. By May 2015 the share price hit 370c, up 86.63% in less than a year! In fact, over the last twelve months, my readers have banked gains of 164.29%, 64.44%, 221.77% and 87.04% - all in the most volatile market we've seen in years. "I've made 114% profit in 6 months." Indeed, it usually doesn’t take that long at all to see a fantastic gain on your investment. If you’d invested in Trustco - a specialty finance company in April 2015 when I tipped it, you’d have made a 56.67% gain when we sold it just FOUR months later in August 2015! What’s more, looking at our overall portfolio to date - that’s every share we've tipped since 2010, not just the top performers - the current average is at an excellent 25.77% - and that’s with a number of my tips still waiting to take off after one of the worst recessions we’ve seen in decades. And that, you see, is what I can do for you. My research and contacts in high-tech industries, retail and financial services industries and in stock broking offices around SA can AND WILL help you make this kind of money. Every day I speak to senior traders at the top brokerage firms. Every day I hear industry info that can help me in my search for the real winners. This South African based company, founded in 1975, produces aluminium foil containers to both the local and global market. But what exactly has grabbed my attention? Why is this particular company my favourite share right now? The rule is simple. If you want to make the BIG MONEY, you’ve got to get in early – before the company actually hits the big time, before everyone else cottons on to what a roaring success they’re on the brink of becoming. And that’s the kind of company I want to help you start investing in. The double upside whammy for this company lies in the combination of the rise and production of electric cars in recent years, and the full operation of it's aluminium recycling plant. Back in early 2009, practically no one had. In 2009, ARB’s share price traded at 185c, and the company paid a 10c dividend for the year. A R100,000 investment would’ve returned you a R5,405 dividend in year one. Fast forward to today – and you’d receive a R28,753 dividend this year. That means your annual income from dividends alone now sits at 28.75% of your initial investment – and you will get this amount or more going forward! In total, your dividends would have equalled R163,907 during this 10-year period. And by reinvesting these dividends– you’d now sit on a total return of R510,505 from an investment in this one penny stock! The fundamentals on this company are perfect. It scores top marks when plugged into my special Early Warning System. I think this company will be a star performer – worthy of inclusion in any millionaire’s portfolio. Get my FREE report on it without delay! 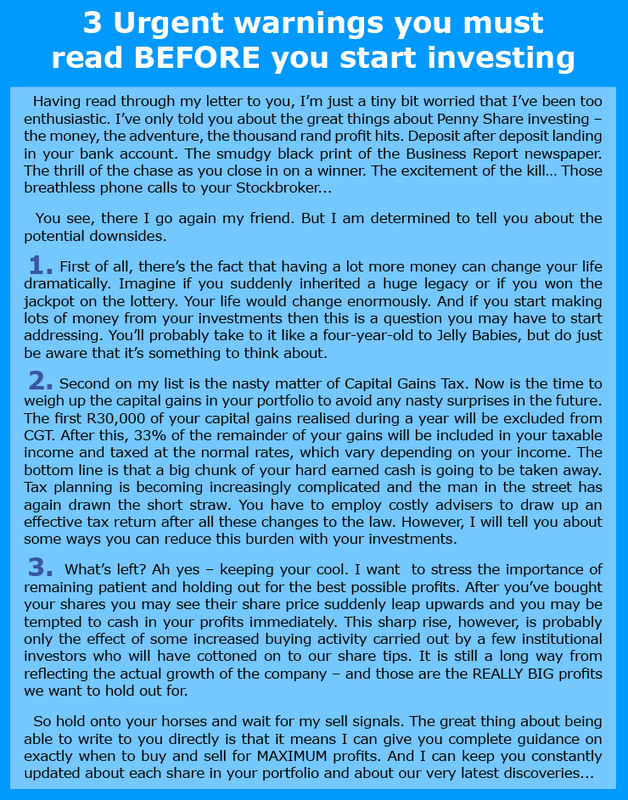 Here’s how a 28c share could have made you R1,488,750…Plus my personal promise to help you hit the next jackpot! Nobody in life gets rich through doing the ordinary. And I’d like you to notice that little word ‘could’ there. You see, I’m not going to promise to make you a millionaire. That would be going just a little bit too far. What I am going to promise, however, is to have a damn good try at it! You see, there are two basic thrusts to the tips I want to send you. On an ongoing basis I aim to send you a constant supply of hot tip-offs that could make you a few thousand here, a few thousand there. If you build up your profits steadily, reinvesting some of your profits as I show you later, you should one day be looking at a considerable amount of money. But there’s also another, very special kind of share I’m looking for. You see, always in the background I’m looking for THE REALLY BIG ONE. A tiny company that will one day become a world-shaking power – like Shell, Coca Cola, McDonalds or Microsoft. A company that could make us an absolute fortune – in one easy stroke. R10,000 invested in Capitec at its bottom in 2000 when the selling price was R1.39, could have made you R6,122,302 by 2018. And if you had put R10,000 into Aspen in March 2001 when its shares were just R4,05, you would have made an excellent R634,567 by March 2018. A R10,000 investment in Calgro M3 in 2010 when it was selling for just 38c could have made you a stunning R455,263 by March 2017 when it sold for R17,30. Yes, investing in these three companies when they were in penny share territory would have netted you more than R7.212 million. Microsoft computer programs are in every other home throughout the Western world. Microsoft doesn’t just shake the world, it rules it. But once upon a time this mighty company was just a tiny fledgling, a few clever men in a back room office with a big idea. If you’d invested just R10,000 in Microsoft before most people had heard of it (sure, I know it’s America but heck, what does geography mean in this day and age) and sold it at its peak you’d now be looking at an incredible R1.564 million! "I have made about R35,000 over the past year all on Red Hot recommendations"
You see, as I told you earlier, my contacts in the medical, high-tech and financial service industries just love to tell me about all the latest breakthroughs and developments. Breakthrough HIV treatments, anti-ageing pills, computers that can talk to you… They’re all in the pipeline. And when the cat’s out of the bag, I’m going to write to you and tell you about it. If there’s one thing I know every investor is hungry for the BIG ONES. And when I send one of them to you, you’ll really know what it feels like to win the lottery! When you start getting out of the rat-race of just ‘getting by’ financially you suddenly realise that we’re talking about a totally different ballgame. And believe me, some amazing things could quickly start happening to you. Imagine the thrill if a deposit of R10,000 appeared in your account from your stock broker? Perhaps you’d use three quarters of it to treat yourself. An overseas holiday perhaps. Then with the R5,000 left over you could invest in another share. And this, my friend is when things really start to happen... This is where we start to talk in terms of REALLY BIG PROFITS. On the first square of the chess board you place a single grain of rice, then slowly double it as you work your way across the board. So you get 2 grains in the second square, 4 in the third, 8 in the fourth and so on and so on. Now, if a chess board has 64 squares on it, how much rice do you think you’d have by the end? A few thousand? A few hundred thousand? In fact, you’d actually have an incredible 9,223,372,036,854,780,000 – that’s a brain-busting nine million two hundred and twenty three thousand three hundred and seventy-two TRILLION, thirty six billion, eight hundred and fifty four million and seven hundred and eighty thousand! 1. 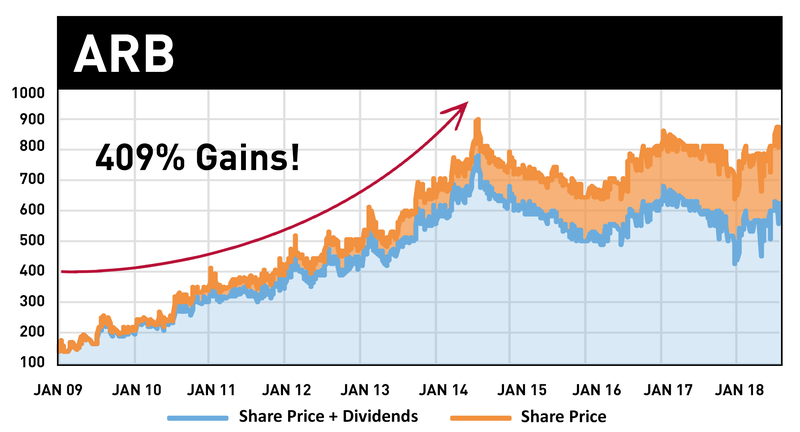 R10,000 invested in Santova in Jan 2014 would have turned into R36,238 just 13 months later after a 262.39% gain. 2. That R36,238 invested in Conduit Capital in February 2015 would have turned into 95,493 after a 163% gain 8 months later. 4. Then, if you’d put that into Silverbridge you’d have turned your 204,6284 into R478,831 by September 2016. 5. Then, if you’d put all your gains into Trustco in October 2016, you’d have turned your 478,831 into an amazing R723,451 - just 3 months later! Incredible isn’t it? And that’s just six actions that create this incredible growth. "IF YOU WANT TO BE HAPPY FOR TWO HOURS, GET DRUNK. IF YOU WANT TO BE HAPPY FOR TWO YEARS, GET MARRIED. IF YOU WANT TO BE HAPPY FOREVER. . . GET INTO PENNY SHARES!" Sure, the examples I’ve given you are particularly good ones. You’d be extremely lucky to turn a R10,000 investment into more than a million rand in just six trades! However, this example illustrates my point – that it’s quite possible to make vast sums of money in the penny share market. Investing in Penny Shares is so exciting and so easy; you can start making money immediately! Let me tell you a little something about the months you have ahead of you. You see, I don’t mind admitting that I’m addicted to the buzz I get out of Penny Share investing. (Remember when I talk about ‘Penny Shares’, I mean shares under R10.) And believe me, it’s not just about money. Sure, having enough to buy whatever you want is a luxury and I know you’d get a real kick out of making your first one hundred thousand (that’s a special moment). But it’s not just about the cars and the houses you can buy. Jewellery. Fancy cigars. Exotic holidays. A property company worthy of any millionaire's portfolio! This company was completely off most people’s radar… they were trading for just 542 cents per share in 2008. 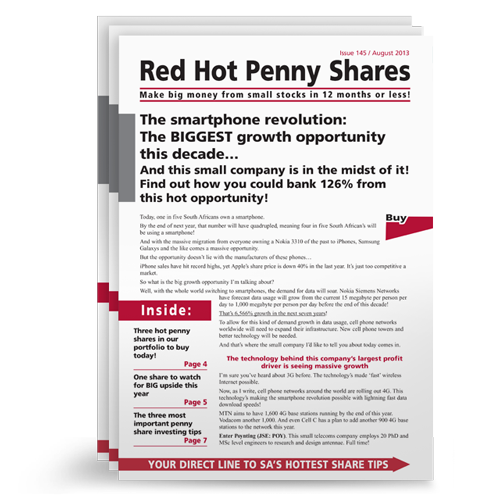 Join Red Hot Penny Shares Today! For me it’s about the thrill. Nothing makes me happier in life than that moment when I just know I’ve found a winner. There’s nothing to get me out of bed in the morning like the smell of a company that could make an awful lot of money. And that’s part of what I want to share with you. I want you to know the thrill of looking through the Business Report and discovering that the shares you bought six months ago, have suddenly doubled in value. I want you to feel that rising heartbeat, the slightly sticky palms, the all-over tremor you get when you realise that you’re staring eye to eye with a company that could be a BIG ONE. And that’s why I’m sending you this invitation today. That’s why I’m giving you the opportunity to discover – with your own eyes – just how much money Penny Shares can make for you. You see, often when I tell people about the magic of Penny Share investing, I don’t think they actually believe me. There seems to be some kind of cynicism among people that makes them unable to believe that something so good can actually be true. And this is what I want to get across to you. I want you to see that making the kind of money I’m talking about is possible and that investing in Penny Shares really can change your life. That’s why I’ve chosen YOU to receive a RISK-FREE three month membership to my personal monthly share-alert letter, – as well as a ridiculously low subscription fee. In fact, here’s a better deal still: Take the first three issues with zero risk – with my 3 Month Money-Back Guarantee. Each month I’ll write to you about the very hottest share tips on the stock market. Then, without actually buying the shares, you can chart their progress yourself and sit back and WATCH those share prices climb. If you like what you see (and don’t blame me if you suddenly see a share price rocket up and you kick yourself for not actually putting money in it) you continue automatically. If you don’t then you can cancel – no questions asked – for a FULL SUBSCRIPTION REFUND in the first three months. If, for whatever reason at any time you wish to cancel after the risk-free trial period, simply write to us and we’ll cancel your subscription. Your free gifts and past issues will be yours to keep! Sure, I could just tell you about how much money you could make. And I hope that you’d at least try and believe me. But – when it really comes down to it – nothing beats actually SEEING the truth for yourself. So, if making money from Penny Shares is so easy, how come EVERYONE’s not doing it? Now, if you invest in the Stock Market in general (let’s say in an ALSI40 Index tracker fund for example), you know that in the long run you’re in for some not bad profits – at least compared to what you’d get from a bank. If you had invested R10,000 in a money market account 10 years ago, it would have been worth around R19,856.13. The same R10,000 invested in the stock market, however, would have been worth R26,132! But that, my friend, is just tiddlywinks. If you had invested R15,000 in the JSE back in 2010, your investment would have been worth R33,899 today... 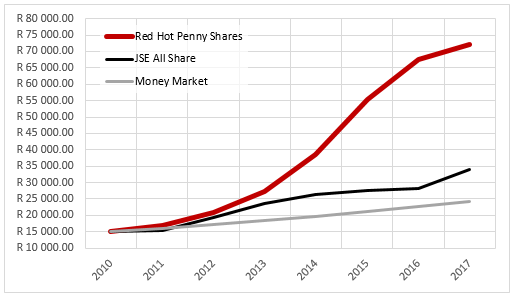 But, if you had invested in Red Hot Penny Shares tips from 2010 and held on to your investment, you would've made R72,097 by now - that's a staggering 380.65% return on your money. 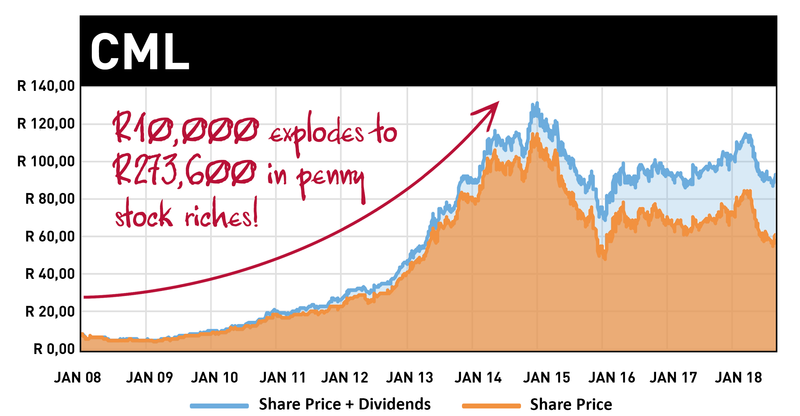 Over a 7 year period the Red Hot Penny Shares PowA! 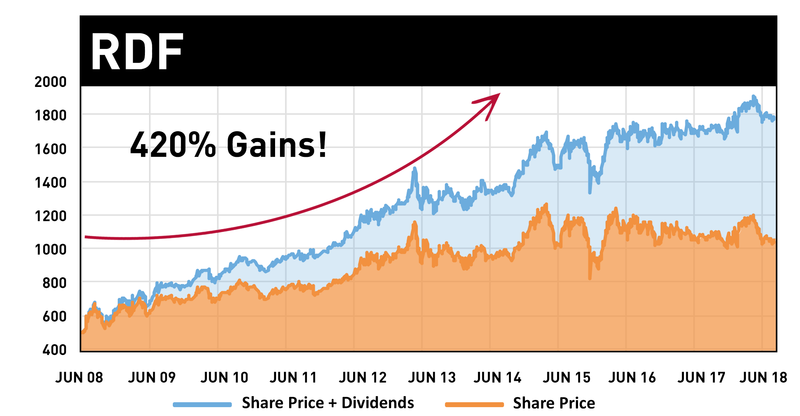 Portfolio has outperformed the All Share by more than DOUBLE! And now, here’s the really exciting bit. You see, while the smallest companies on the Stock Market outperform the larger ones it’s only a small handful of those tiny shares that pull up that figure. A large number of the Penny Shares on the market are failing companies that are on their way out. They’re so cheap because nobody wants to buy them. The majority of the others are enthusiastic new start-up companies that probably haven’t got what it takes to survive. Now, while I was the first to admit that the entrepreneurial spirit is brilliant, the sad news is that a large percentage of businesses fail. Which is why the hours and hours of analysis that I do is SO CRUCIAL. And why so many investors in penny shares end up losing money. This, my friend, is where the hard work comes in. But the crazy thing is, I love it! You see, while all those contacts I told you about are brilliant and I have enormous respect for all of them (just in case they’re reading this), a lot of the tip-offs they give me are just rumours. They’re based on a bit of gossip, a single piece of information. And they’re not backed up by thorough analysis. And I’d like to take this opportunity to offer you a warning: Please be careful about investing in any share tips you read in magazines or newspapers. While you do get some excellent people writing in the share columns a lot of these ‘tipsters’ are just rumour reliant journalists who love to be wined and dined by companies trying to promote favourable press coverage for themselves. So, what do I do that's different? Well, the main thing is that I only believe in investing in companies that really have the true ability to grow into successful companies — and I use a stringent series of tests to ensure that every company I research really does have what it takes. Some of those stock market rumours are started by the company’s own PR company, or by a highly inflated profit prediction they’ve published thanks to some dodgy book-keeping. "THE FIRST RULE OF INVESTING IS NOT TO LOSE MONEY. THE SECOND RULE IS TO FOLLOW THE FIRST RULE." Now, I’m not denying that if you get your timing right then you can make a very tidy profit from this kind of tip-off. In fact, with this kind of rumour, a company’s share price can sometimes even double in value in a matter of a day or two. BUT, because that rise was not based on the company’s true value, the share price could later go DOWN just as easily. And I don’t want you to be taking that kind of risk with your money. Did you ever learn at school about the way they filter water? You know – big rocks on the top, then different layers of stones getting smaller and smaller until down at the bottom you’ve got this layer of really fine sand and the water comes out of it totally clean, pure and wonderful – one tiny precious drop at a time. Well, the system I have for shares is very similar to this. The system I've developed is not about gambling... It’s not about taking risks. It’s about finding those few small companies listed on the stock market that have the true potential to grow from strength to strength. The companies that can keep on making us money – year after year after year, both through rocketing share price and regular dividend payments. "Without it I would not have the courage to invest. Red Hot Penny Shares gives me the confidence to know the companies I invest in have been well researched – Something I would not know how to do on my own." And if you’re looking for a company like that then you HAVE to be prepared to do a lot of ground work. Receiving share tips from my contacts is the easy part. After that, a share has to go through my entire ultrafiltration system before it can even dream of becoming a recommendation. I have to be convinced that this company has no weaknesses, that there’s nothing dodgy or fishy about the way they do their business, that their finances are perfect and that there’s only one direction this company can possibly be going (UP, UP, UP and all the time putting money in our pockets!). But first take a look at my third share that could DOUBLE your money. Back in 2009, the company had a market cap of only R2 billion, with a share price of 462c. Astoundingly, the company managed to grow its dividend to shareholders straight through the 2008 recession, and it hasn’t skipped a dividend ever since. It grew 2,376% in value between January 2009 and December 2014. And R100,000 would have turned into more than R2.7 million. That’s just with one perpetual income penny stock play! Normally the very first thing I look into in a company is the people at the top. Really good management is like absolute gold dust and when you come across a company that has it, you’ll recognise it immediately. Possibly more important, however, is to screen out any BAD management. Many companies have been in the news headlines for losing billions of rands due to bad management. I also want to know whether a manager owns shares in his own company (bad news if he doesn’t, excellent news if he’s buying)... Whether he’s had a good track record in the past... And whether he’s been topping up his salary ‘through the back door’ so to speak. I once discovered a bunch of company directors who had organised a payout to themselves should the share price rise to the detriment of the shareholder. Once upon a time all investors were talking about this asset management firm Bernard L. Maddoff Investment Securities. All the journalists and stockbrokers had been wined and dined and wowed by the success stories and shown stunning profit growth figures. Except me. Soon after, I read in the newspaper dealings around this had spiraled into one of the largest commercial crimes cases in US history. Maddoff was sentenced to 150 years in prison and $170bn in restitution. Well, a lot of people have lost a lot of money because they were not properly informed and were seduced by the hype. Which is why... Along with the share tips I’ll be sending you every month, I’ll also be sending you warnings of any shares you should actually sell. So if you do succumb and invest in that irresistible share tip touted in the newspapers, I’ll be there to help you get out if you’re investing in a bloomer. And the only ones not crying will be Red Hot investors. Remember, the beauty of the perfect Penny Share is that it has room for expansion. It’s like a tiny acorn that’s going to grow into an oak tree... The little snowball that you can roll into a huge snowman. "The way they support their recommendations with good research, compared with pure guesswork from other 'experts'. [Red Hot] does the research for which I haven't the time or contacts." The fine sand of my ultrafiltration system comes in the form of a face to face meeting with the company. If they can pass their way down through all the rocks and stones at the top, then it’s time for me to put my shoes on and pay a visit. This is where I actually go and have a man to man chat with the person at the top – the Chairman, ‘CEO’, the MD, the Big Cheese, or whatever it is they want to call themselves. Ultimately, there is nothing scientific about these meetings. Just a gut instinct about whether you trust the guy. Whether he is consistent in what he says. Whether or not he has a vision or that special kind of energy that shines out of people who’ve really got that extra something. I’m also looking out for staff motivation, a general feeling of positive expansion and any giveaway signs such as costly works of art or fancy fountains in the courtyard. Any kinds of unnecessary trimmings are a sure sign that profits are going into the wrong places – i.e. massaging the Director’s ego instead of lining the share owners’ pockets. Now, you don’t have to agree with me (and some of you will and some of you won’t) but the truth of the matter is that getting up to your elbows in a company’s finances and all the share price ratios is really fascinating. And if it is something you’re interested in then this is certainly something we can look into together in the future. Take PEs and PEGs for example: The PE ratio (Price/Earnings) is a very quick and clever way of calculating whether a share actually has value at the price it’s currently listed at – the price of the share being divided by the company’s net profit per share listed. The PEG ratio goes one step further – dividing that figure by the rate at which earnings will grow in the future. And that, my friend, is the nuts and bolts I’m after – because what I’m looking for are shares that are growing – growing, growing, growing! For a share to get through my ultrafiltration system it cannot (normally) have a PEG number higher than 1.5. Now, that may sound a bit rigid to you, but let me ask you this: Would you pay R50 for a share that’s going to make you only R5 over the next 10 years? NO! You certainly wouldn’t. The kind of shares we’re looking for are the ones that cost R5 and are going to make you R50. And that’s exactly what the PEG ratio can help you determine. I can’t even begin to describe to you the feeling I get when I’m sitting down at my desk at three o’clock in the morning and I suddenly realise that this brilliant company I’ve been looking into is actually selling at a complete and utter bargain discount. And I hope that very, very soon you’ll be sharing that excitement with me – along with all the thousands that could come flowing into your bank account! You see, not only does this mean that I’ve found you a bargain. It also means that the company is undiscovered. Research departments for corporate investors tend to be quite slow in looking into these ‘small fry’ companies and in fact, often rely on independent analysts like myself to do the leg work for them. 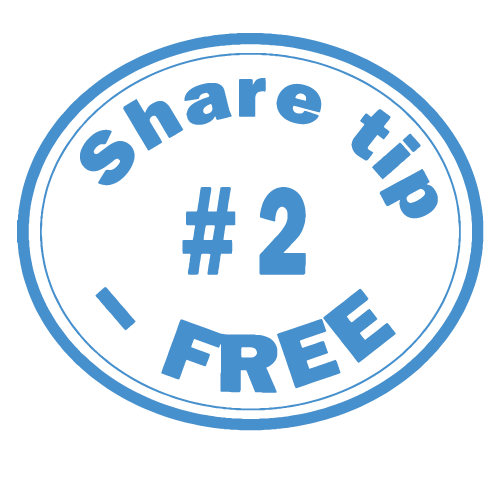 (By hook or by crook they eventually seem to get hold of these share tips.) But that’s excellent news for us. Because when they do finally get round to snapping up shares in these companies, the share price will ROCKET... All the way to the Moon. 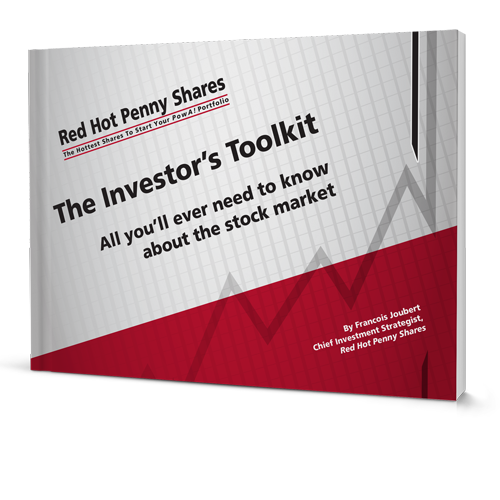 Your Red Hot Penny Shares introduction kit will turn you into a bona fide share expert – and you can claim it RISK-FREE! 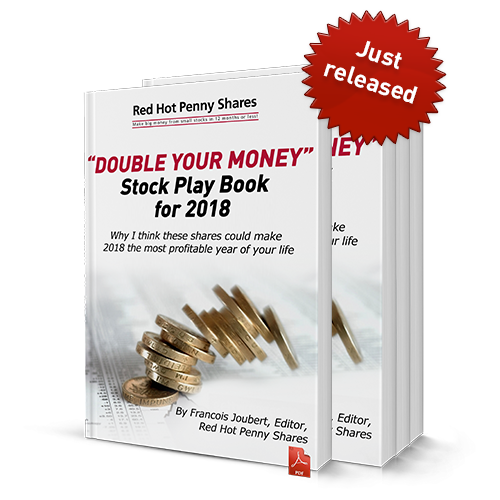 Red Hot Penny Shares is a project I’m very proud of and I’d like to take this opportunity to invite you to receive this RISK-FREE Membership. Penny Share investing is an absolute passion and nothing makes me happier than sharing that with you. Call it a hobby. Call it madness. Call it one big ego trip. It’s just that giving people share tips is what makes me tick in life. I just love the thrill of striking gold, passing the discovery onto friends, then watching the share tip soar. Perhaps it’s all to do with power? Or maybe it’s a case of ‘I told you so’? To be honest – do you care? If it means that you get wealthy, then I know you won’t be complaining. "My portfolio, based almost entirely on Red Hot Penny Shares recommendations, is still in the money and keeping ahead of SA inflation! Well done, and please keep up the stimulating editorials and excellent publication quality." As you’ve probably already discovered, the official full subscription fee for this unique new service is actually being offered at the very reasonable price of just R870 per year. A very reasonable price indeed when you consider that the investment industry probably takes an even greater slice of your money (through various charges, running costs, advertising costs taken out of the profit of the overall fund to name but a few) every time you invest in one of their little unit trusts, pensions or endowments that almost seem designed to help them make money out of you – rather than to help you get wealthy. Enjoy our 100% MONEY-BACK GUARANTEE – and receive a discounted rate for THE REST OF YOUR LIFE! Because you’re NEVER going to have to pay the full R1,270 subscription. What’s more, the free welcome package described below is worth R3,870 alone! And you can claim it TODAY and take advantage of the No-RISK Money-Back Guarantee. And that’s just the start! By replying today to our exclusive New Subscriber offer, you can claim your annual subscription of just R870. A 31% saving for life. So why do I want to send you so much for free – and with such a heavily discounted subscription? Well, as I think I said earlier, I want to make sure you’re the right kind of person to join me. And to do that I’ve got to send you a very good REAL LIFE, IN ACTION taster of what I have planned for you. 12 Red Hot Penny Shares monthly issues. Even if you are not ready to invest yet, you can “paper trade these shares at no risk and find out for yourself if my recommendations really do produce massive gains. The 5 Hottest Shares to Start Your Million Rand Portfolio. Wonder shares can double in a matter of months or less. How? There’s something explosive about their businesses that can lead to some sudden extraordinary breakthrough that can spell immense profits practically overnight. The share shoots up, often multiplying the wealth of its owner many, many times. What kind of companies are these? Their products could go through the roof – and their shares! This report holds the full details of these extra-special share opportunities I’ve unearthed. I’m talking about companies that come along once every blue moon that get tipsters like me hot under the collar. You will be too, once you set your eyes on the gems lined up for you. This portfolio is valued at R1,000 – peanuts when you consider that I’m expecting it to bring you profits of at least 100%. Buying and selling shares is a hugely exciting activity, but one that seems to be highly misunderstood by the public in general. While it’s much easier than you’d ever imagined, trading in shares seems to have the image of high-flying traders best portrayed in Hollywood-style movies. Consequently, a lot of people shy away from taking the plunge into starting a share portfolio, because they find it a little frightening and even intimidating. They also fear that it’s complicated, or they worry that there’s something that they’re not aware of. However, the reality is that it’s actually very simple and there’s very little to it, as you’ll see with this essential and extremely handy guide. This booklet is designed as a step-by-step guide for new stock market investors. It will arm you with all the information you need to make your first investments quickly and easily. 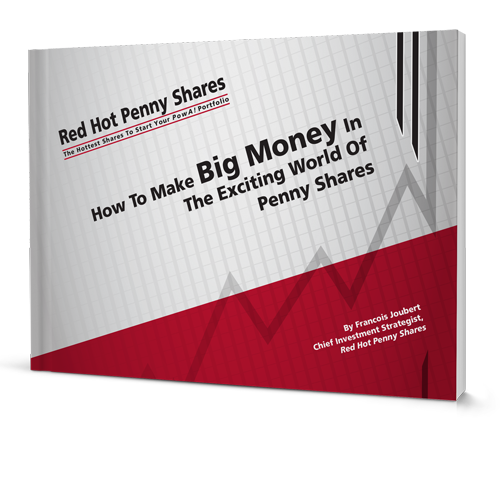 How To Make Big Money In The Exciting World Of Penny Shares. Any fool can make some money buying shares, but by following a few simple rules and taking advice from the right quarters, you can make SERIOUS amounts of money. The aim of this booklet is to guide you towards those serious rewards. Remember that there is a significant difference between a gambling-type share purchase and creating wealth over time through proper share selection. This manual – available only to our readers – will quickly give you a grasp on the essential tools for evaluating any share – including PE ratios, earnings yield, net asset value, free cash flow, and more. Plus, it reveals many of the secrets behind our highly profitable share trading system. FREE Weekly Email Alert Service. This is your guarantee that you won’t miss a single thing. Your Alerts bring you the latest updates on current share selections, up-to-the-minute analysis on emerging shares, the latest and best penny shares that can return enormous gains faster than you ever imagined – everything you need to know to quickly act on to make money immediately. FREE Email Subscription to MoneyMorning. Your FREE MoneyMorning online advisory will help you beat the markets and stay on the path to financial independence. Daily, our experts uncover hidden market indicators, time-tested investing techniques and current emerging trends. You get action-oriented, reliable advice that will make you a smarter investor – fast. FREE ACCESS to Our Extraordinary Members-Only Website. You’ll discover an archive of past issues,company updates, our entire PowA! Portfolio, research e-reports that only we can create – and much, much more. We’ll send you your log on details as soon as you join. Too busy to go online. To impatient to wait for the hard copy. 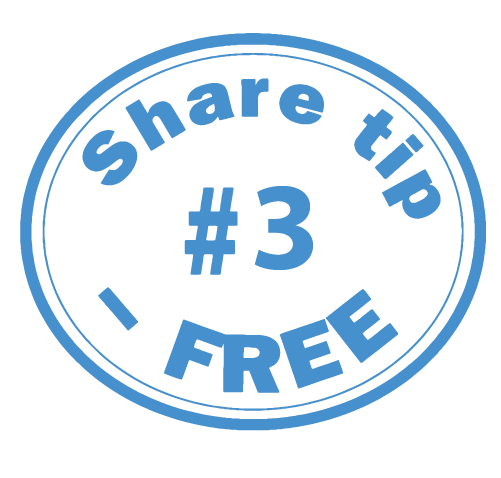 This free SMS will alert you of new share tips right away! You won’t miss a thing. Wow! Now that I’ve sat down and written it all up it does seem like an awful lot to be giving away as a risk-free membership offer. My only worry is that you might even be thinking that it’s just a little too good to be true and that there must be a catch in there. But let me assure you that there is no catch. I’m adamant that you receive every single gift on that list and that you at least be given the chance to discover what this kind of investing can do for you. You’ve a limited time to spend in this life and I’m of the opinion that you should make the most of it. Why settle for just getting by on your monthly salary, unit trusts and pensions when you could have the chance to take part in a totally different ball game? When you could have the chance to enjoy the exciting world of penny share investing and enjoy all the limitless wealth that you could stand to make from it. And that, my friend, is the message I’m going to leave you with. PS. A small number of people are about to make a large amount of money on the stock market. Why shouldn’t you be one of them?